Way back in TAC, Jr. #10, Thomas Chenevert talked about "The Deserted Village". He said, "That episode has a lot of scenes in the back lot. It would be interesting to talk with someone who actually walked through that lot and could explain in detail just how big (or small) it really was." Well, one way to get the feeling of walking around that lot is to watch The Andy Griffth Show." In the early 1960's as I was enthralled by daily reruns of Superman, I became aware that something about the 1951 Metropolis seemed familiar, but I couldn't quite put my finger on what it was. Then, as I was watching the opening minutes of "Deserted Village", it dawned on me. 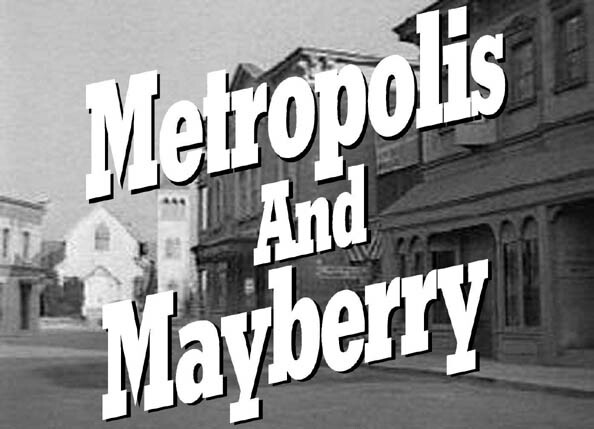 Metropolis was also Mayberry, North Carolina! 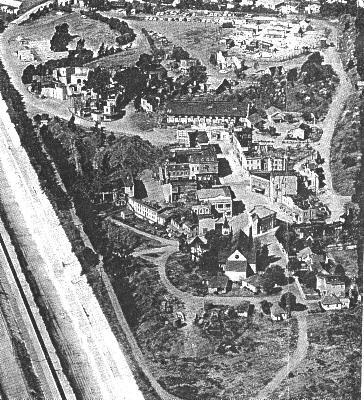 I later learned that both the 1951 episodes of the Adventures of Superman and The Andy Griffith Show filmed their outdoor sequences in Culver City at the old RKO Pathe back lot, affectionately known as "Forty Acres". Many classics ranging from Gone With The Wind to Gomer Pyle, USMC were filmed there too. The Andy Griffith Show was a big prime time hit during the same years that I was watching the afternoon reruns of George Reeves and friends walking those dusty back lot streets. I began looking at both shows with an eye for catching exact buildings and locations where specific scenes had been filmed. 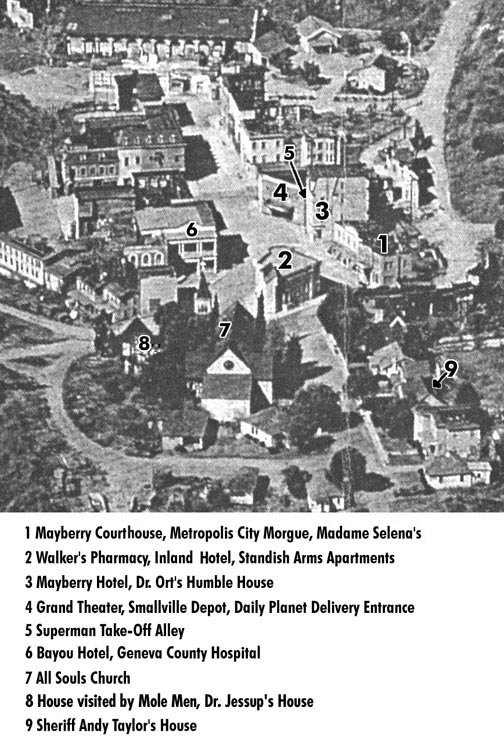 Over the years I recognized many Metropolis buildings which were better known to some TV viewers as Mayberry landmarks. Thanks to the TAC website, I also was fortunate enough to begin an e-mail correspondence with Jerry Krumm, who is not only a big Superman fan, but lives in Southern California and actually appeared in the movie, Switchblade Sisters, which was filmed at Forty Acres in 1975! He e-mailed me many of these video captures. The composite images he made were especially helpful. Jack Thompson, who first noticed Tara in the background in "Mind Machine", also e-mailed images and information about the lot. Both of these fellows did a lot of research and spent a lot of time and effort scouting the area and taking photos of the present day site of Forty Acres. In November 1999, The Bullet, the official newsletter of the Andy Griffith Rerun Watchers Club, published an aerial photo of Forty Acres supplied by Joel Rasmussen. This helped greatly to identify the buildings and their exact locations. Joel has given TAC permission to use this photograph, which he also sells, along with several others at http://www.angelfire.com/biz/Mayberry/index.html. Using Joel's photo as our guide, we can take a tour around the main streets of Forty Acres, which are known by fans everywhere as Metropolis and Mayberry.